The Amazon India Fab Phones Fest offers special discounts on popular smartphones such as the Redmi Y2, Mi A2, and Honor Play among others. If you’re looking to buy a smartphone, there’s no need to wait for the festive season to get good deals. E-commerce portals have been running several promotions almost every other week, offering you the best deals on smartphones and other electronic products. Amazon India is currently running the Fab Phones Fest between March 25 and March 28, with exciting deals on popular smartphones. Besides discounts, there are exchange bonuses and 5 percent cashback on SBI card EMI transactions as well. For the cashback, the minimum transaction value has to be Rs 12,500, and the maximum cashback one can avail is Rs 1,500. Here’s a look at the popular smartphone deals. Xiaomi’s second-gen selfie-centric smartphone, the Redmi Y2, was launched at a starting price of Rs 9,999, but after the recent price cut, it is now available for just Rs 7,999. For the price, you get a 5.99-inch Full HD+ 18:9 display, a 16-megapixel AI front camera, a Snapdragon 625 SoC, and dual cameras at the back. The higher variant with 4GB RAM and 64GB storage is also getting a discount, and you can buy it for Rs 9,999. The Mi A2 is Xiaomi’s second smartphone running on Android One OS. Launched at a starting price of Rs 16,999, but after the recent price cuts, it is now available for Rs 11,999. Amazon is also offering extra Rs 2,000 off on exchange. The higher variant with 6GB RAM and 128GB storage also gets a neat discount and is now available for Rs 14,999. The smartphone is powered by a Snapdragon 660 SoC, comes with dual rear cameras, and more. Huawei’s sub-brand, Honor, launched a mid-range gaming smartphone in the form of Honor Play. Offered with a starting price of Rs 19,999, the smartphone is getting a neat Rs 5,000 off, and it is now available at a starting price of Rs 14,999. It is powered by a flagship Kirin 970 SoC, and comes with GPU Turbo mode for smooth gaming. The top model with 6GB RAM and 64GB storage was launched for Rs 23,999, and it is also getting a sweet discount, and is available for just Rs 16,999. The entry-level smartphone from Xiaomi, the Redmi 6A, was launched for Rs 5,999, and now it is getting a discount of Rs 500, after which you can buy it for just Rs 5,499. For the price, the smartphone comes with a 13-megapixel rear camera and a 5-megapixel selfie snapper. It also comes with a 5.45-inch HD+ display, and comes with a 3,000mAh battery. 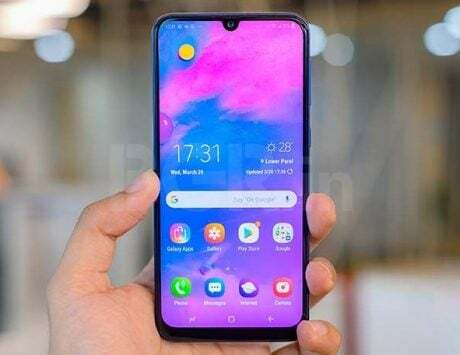 Vivo launched the bezel-less and notch-less smartphone, NEX, for Rs 44,990, and it is now getting a massive discount, of Rs 13,000, and you can buy it for as low as Rs 31,999. However, the offer is only valid on prepaid orders, means, you will have to make the entire payment upfront, using a debit card, net banking or credit card. The promo discount will be applied on checkout. Apple’s first smartphone with an edge-to-edge design, the iPhone X, is now getting a good discount of over Rs 17,000 compared to its launch price. The base variant with 64GB storage is now available to purchase for Rs 73,999, and you can also avail exciting no cost EMI options as well as exchange discounts. There are discounts on other smartphones too that are worth checking out on Amazon India. 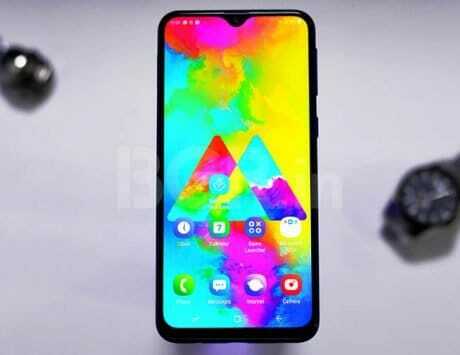 These smartphones include the Vivo V11 Pro, Oppo F9 Pro, Samsung Galaxy S9, Huawei Mate 20 Pro, and Xiaomi Redmi 6 Pro to name a few.